Bair is steadfast in her belief that the American public needs to fully understand the crisis in order to bring it to an end. Critical of the bank bailouts and the Can. 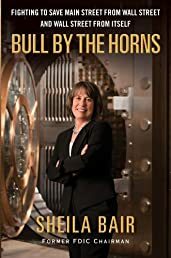 $29.99 lax regulation that led to the economic crash, she provides a sober analysis as well as a practical plan for how we should move forward. She helps clear away the myths and half-truths about how we ran our economic engine into the ditch and tells us how we can help get our financial and regulatory systems back on track.